In August 2016 a research study found a third of pet dogs had ticks. Ticks are on the increase and aren’t very pleasant. Ticks are small, blood sucking arthropods related to spiders and scorpions. 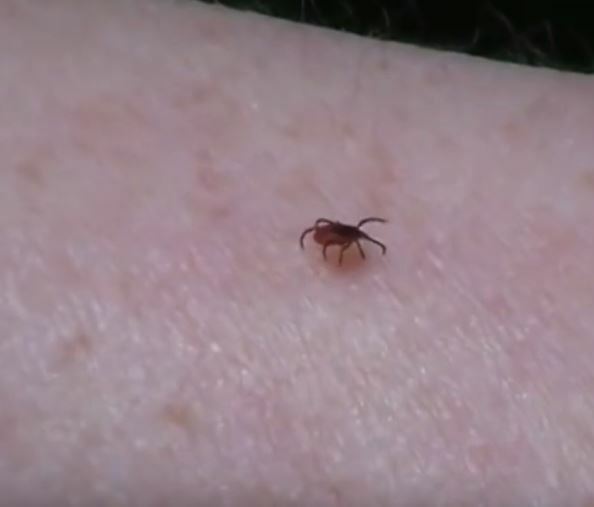 There are many different kinds, but the one most likely to bite humans is the sheep tick (it’s not exclusive to sheep, and feeds on any large animal, including us!). It’s a myth that ticks are only found in the countryside, as the brown dog tick can thrive inside our homes and ticks can also be found in urban parks. While we have a variety of blood sucking creatures in our country, fleas, mosquito and midge bites are little more than a passing irritant. Tick bites can have more serious and long term health risks, since ticks can carry Lyme Disease. Despite all my camping in the past and living in the wilds of Cumbria, I still haven’t found one attached to me, although I have removed them from other people! If you walk through fields or woodland, there’s the risk of a tick biting you. Not all carry Lyme Disease, but it’s important to know how to remove one to reduce the risk of infection. We recommend watching the video below, and buying a tick fork removal tool and having this in your first aid kit when you go camping. You can find them sold on Ebay and they only cost a couple of pounds. While you can use tweezers or fingernails to remove a tick, it’s important not to squeeze the tick’s body (you don’t want it vomiting bacteria into your blood stream). You may not notice a tick bite you. 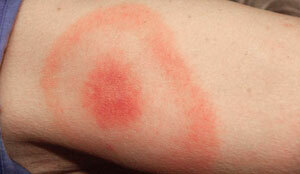 If you find a rash which looks like a bullseye with a circular ring, pop along to the doctors. Treatment is normally with anti-biotics. The rashes can appear some time after you’ve been bitten. More information from the NHS Choices web site. Don’t panic. Lyme Disease is pretty rare, with only 2,000 cases reported each year. For £2 though, a tick fork is a cheap investment for peace of mind!